In a clear case of negligence, lawyers representing the UPND have messed up a case in the Supreme Court. 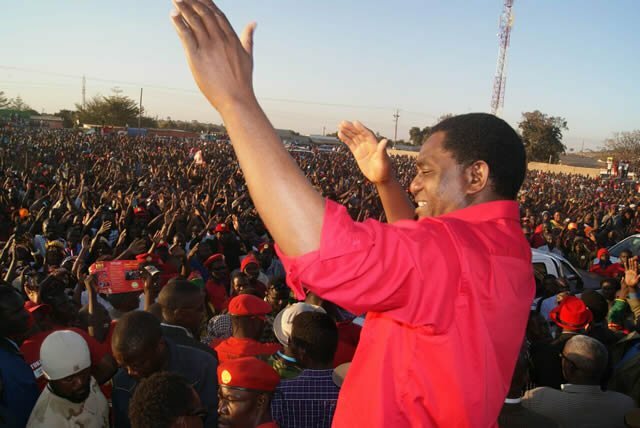 This is the matter in which UPND leaders Hakainde Hichilema and Geoffrey Mwamba want High Court judge Mwaba Chitabo to recuse himself from hearing their presidential petition. The two argue that the judiciary denied them their constitutional rights to be heard when the Constitutional court failed to hear the 2016 presidential petition. The two are not comfortable with judge Chitabo handling the matter as they feel he has personal , hidden interest in the matter. They are seeking to be heard by a neutral judge. So they want a court order to compel Chitabo to recuse himself and give the case to a neutral judge. But Maybe due to witchcraft, learned, experienced UPND lawyers decided to jump the Court of Appeal and rush to the Supreme Court against both common sense and court hierarchy. And now Hakainde Hichilema and GBM have to pay cost for this negligence in addition to paying these fools. The Supreme Court laughed this matter out. Supreme Court Judge Evans Hamaaundu, Kajimanga and Kaoma simply advised the UPND to consider taking the matter to the Court of Appeal as required by the law before going to the Supreme Court. But of course they ordered UPND to pay costs for this blunder. With this negligence from UPND lawyers, even these corrupt judge now look noble.